The Caspian Sea region is climatically diverse encompassing the basins of the Volga and Ural rivers in the North, the vast semi-arid and hot arid plains of northern Kazakhstan and Turkmenistan in the east, and the humid Caucasus and Elburz mountains in the south-west. The Caspian Sea plays an important role in atmospheric processes, regional water balance and microclimate. 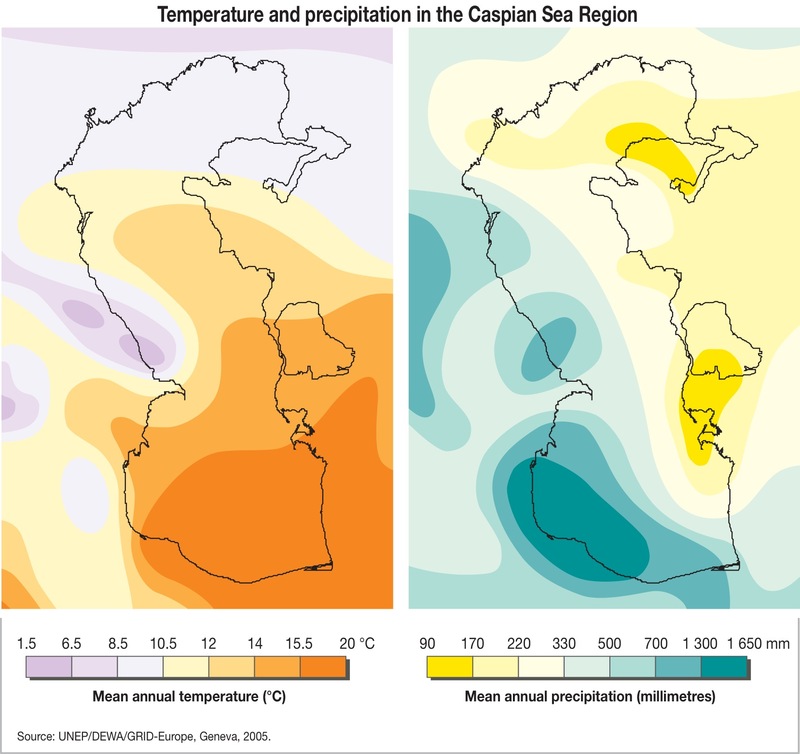 Climatic phenomena in the Caspian are linked to the Northern Atlantic Oscillation (fluctuations in atmospheric air pressure). These variations affect temperatures, moisture and winter storms all across Europe including the Volga basin, as well as rainfall over the Caspian basin.